Sorry, bub—you’re probably out of luck regarding that Porsche 935 order. There’s only 77 of those being made, and unless you ingratiated yourself with Stuttgart by previously ordering three 918 Spyders, eight 911 Rs, and 15 991.2 GT3 RS’s, it’s likely you didn’t make the cut. 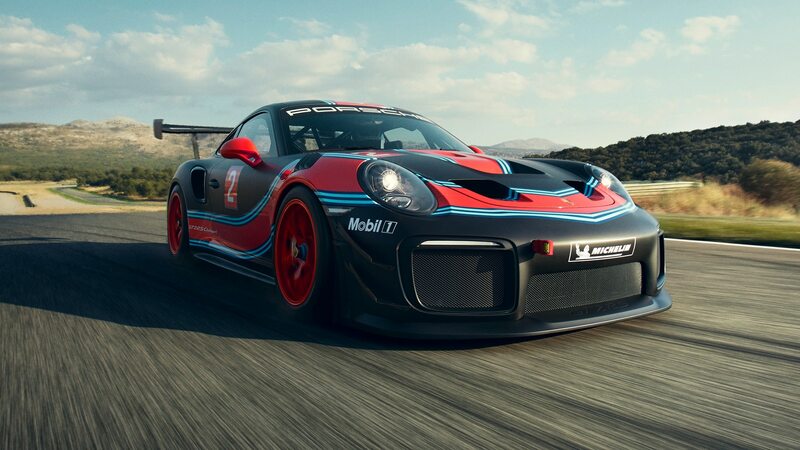 Don’t reallocate your hundreds of thousands of dollars just yet, though—the company has a consolation prize in the form of the Porsche 911 GT2 RS Clubsport. 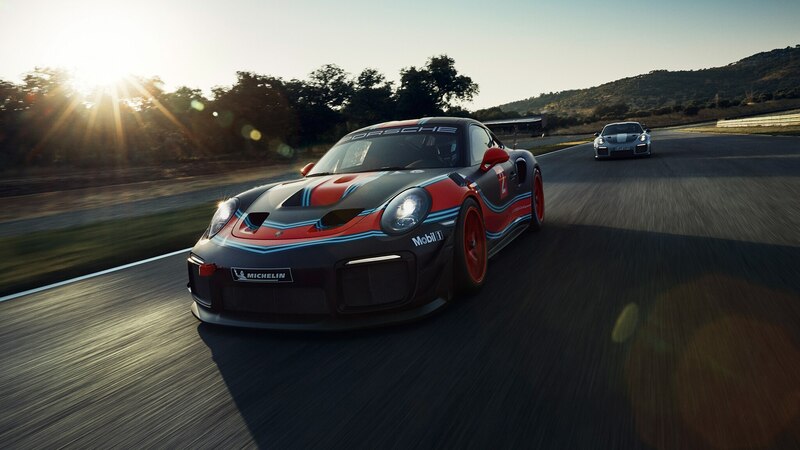 Sharing the debut spotlight with the all-new 992-generation 911 at the Los Angeles auto show, the GT2 RS Clubsport is a 991.2-based, race-ready evolution of the most powerful roadgoing 911 ever produced. Much like the smaller Cayman GT4 Clubsport, this non-street-legal model is a stripped-out, hunkered-down, caged-up weapon for the hardest of hard-core track-day regulars. Mechanically, it’s very similar to the 935. 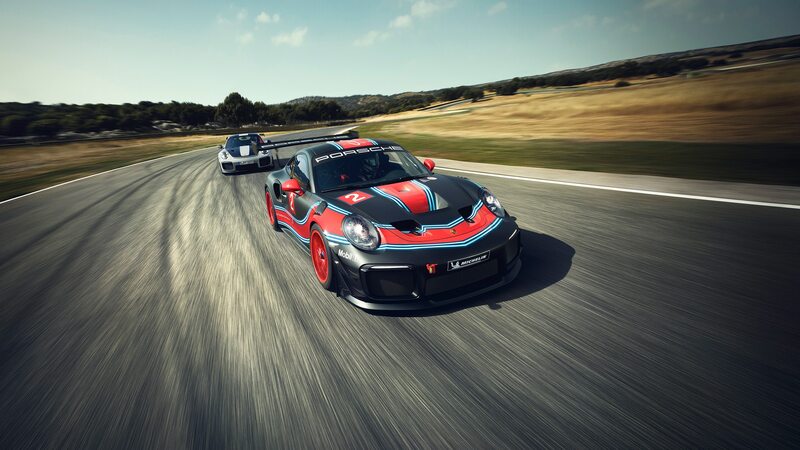 Both cars share the same rear-mounted 3.8-liter twin-turbocharged flat-six, sending a mighty 700 hp to the rear wheels through a seven-speed PDK dual-clutch transmission. 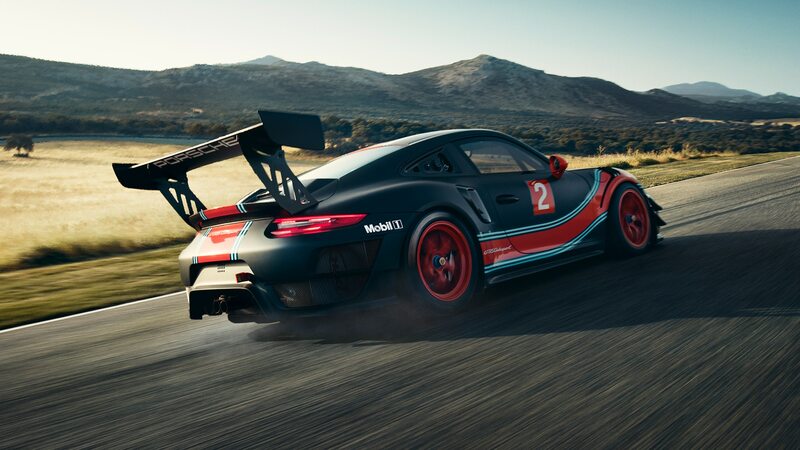 Though you wouldn’t think there would be much to strip from the already plenty focused street car, the Clubsport sheds 177 pounds over the regular GT2 RS, a car which already proved its mettle by whipping around the Nürburgring in world-record time. It would weigh even less if it weren’t for the full FIA-spec roll cage and additional race hardware keeping things both stiff and safe. Huge, 15.3-inch steel front rotors are clamped by six-piston calipers, while the 14.9-inch discs in the rear are slowed by four-piston pieces. A three-way, adjustable race-focused suspension supports the chassis, so that professional race shops and brave weekend warriors can change suspension settings to fit the venue. Once you manage to squeeze past the cage’s door bar, you’ll sit behind a competition-spec steering wheel yanked from the GT3 R. Air conditioning, stability control, and ABS are still present. Unlike the aforementioned GT4 Clubsport, you can’t actually race this in an officially sanctioned series—yet. Porsche is still working on that with the SRO Motorsports Group, the organization behind the Blancpain GT series. 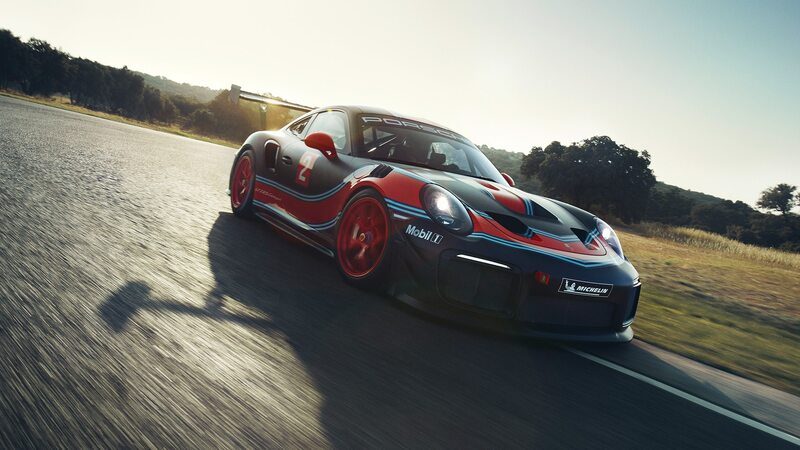 If the GT2 RS Clubsport gets the green light for competition it shouldn’t have any problems passing tech inspection, as each car arrives outfitted with an FIA-spec safety hatch, a fire-extinguisher system, a 30.3-gallon safety fuel cell, and an integrated air-jack system. 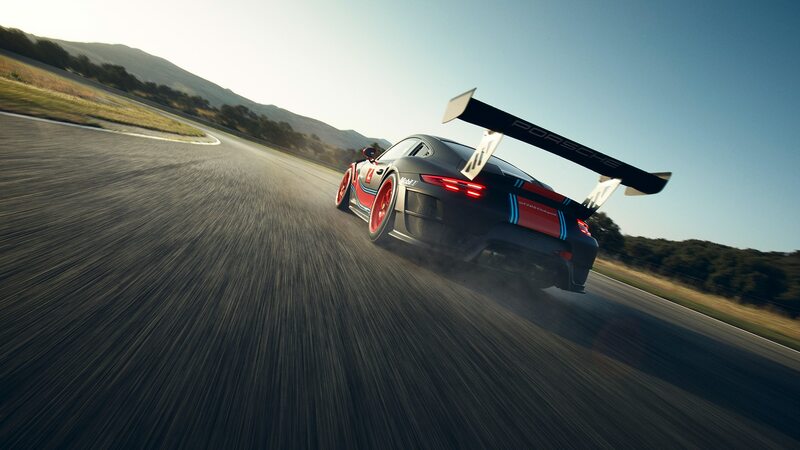 The GT2 RS Clubsport stickers at $478,000, a $183,750 premium over the road car. That’s a pretty penny, but it’s still roughly half the price of the 935. Get your order in now—Porsche’s only building 200.